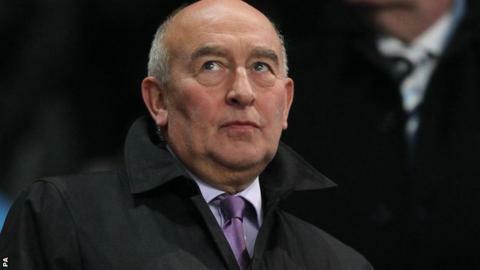 British Swimming have named former Manchester United club director Maurice Watkins as their new chairman. Watkins has been tasked with leading the team forward to the 2016 Olympic and Paralympic Games in Rio after a disappointing London 2012 performance. He will not be involved in discussions regarding the appointment of GB's new head coach or performance director. However, Watkins will be responsible for ensuring the recommendations of the review panel are carried out. "I look forward to working alongside people who are an inspiration in such an outstanding sports," said Watkins. The sport's governing body is in the process of rebuilding after performance director Michael Scott and head coach Dennis Pursley both resigned after missing their London 2012 medal target. At the London Olympics, British Swimming were aiming to beat the three medals (two golds from Rebecca Adlington - 400m and 800m freestyle - and a bronze from Jo Jackson - 400m freestyle) that they achieved in the pool in Beijing in 2008. But they only managed a silver (Michael Jamieson, 200m breaststroke) and two bronzes (Adlington, 400m and 800m freestyle), which prompted a review and resignations of Scott and Pursley. Mark Perry, head of development and open water swimming, currently holds the role of technical leader in a caretaker capacity, while David McNulty is the interim head coach. The team are competing in the World Short Course Swimming Championships in Istanbul, Turkey. Watkins, who is a director of Lancashire County Cricket Club, served on the Manchester United board for 28 years. British Swimming chief executive David Sparkes said: "He brings a wealth of experience in sport to the board. "His leadership will, I am sure, enable the board to be more focused as we take on the lessons from London and prepare for Rio to achieve medal success across the sport."